Explore our Jewelry Accessories selection and find the best pieces for your store! 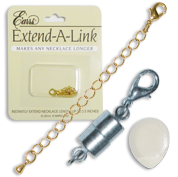 From clip converters, earring backings, ring sizers to magnetic clasps, for bracelet or necklaces. All items available at affordable prices, thanks to our wholesale deals!